Want to learn how to win at slots? This used to be the sales page for my e-book “How to Really, Really Win at Slots” (Sold over 1,500 copies at $37.77). You can now read the same information for FREE. I have split the content of the former e-book into many pages, starting with this one. Navigate these menus to soak up all that valuable How to Win at Slots information. Slots Play Is Serious Business! For too long casinos have ripped off unsuspecting players. Losing all of your money every time you play the machines is no fun, but the casinos love you. Players Who Rely On Pure Luck Nearly Always Lose! Probably 99% of all the people leave the casino having lost their money. Credit cards are maxed out or wallets are empty. 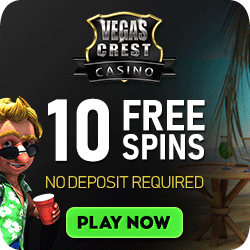 Become a Tough Casino Customer! In order to avoid the casinos’ traps, you need to protect yourself. You need to know how to fight back. 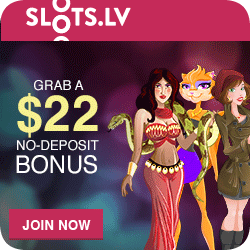 You need to know the tricks, strategies and methods that will make you a winning slots player. Just like state lotteries, the allure of casino slot machines is the chance of instant fortune for a relatively small investment. Next to keno, slot machines offer the worst payback percentage in the casino. Despite this, legions of players relentlessly chase that big jackpot every day without really knowing how to win at slots. a) It’s one of your favorite forms of entertainment. b) You hope to strike it rich. If you’re among the ‘a’ group, playing the slots is an activity you do for fun, you accept the fact that it’s going to cost you some money. You’re paying for entertainment; it’s akin to going to the movies, live theater, concerts or sporting events. You gamble for enjoyment and you’re willing to let it cost you something, but you don’t want to pay too much. Even better would be to end with a net win, or at least finish even. Being nearly broke after every casino visit is not fun. You want to change direction and keep more money in your pocket. Players in the ‘b’ group, who aim for that life-changing super jackpot, have a tougher challenge. This info will teach you slot-playing tricks and methods designed to help you stretch your bankroll. The longer you can make your money last, the more spins you get, and that translates into more chances to line up symbols that pay big prizesl. 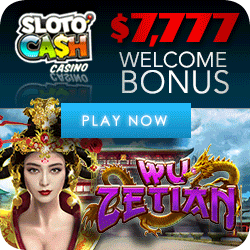 Huge jackpots are won all the time. You might be the next very lucky player. But until that happens, we’ll show you how to play for playing money. That way you stretch your bankroll and make it last. 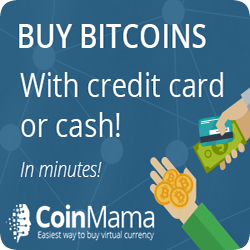 You can’t force a big jackpot, no matter how many coins you feed into a machine. No slot is ever “due” to hit. Jackpots are created by a computer chip inside the machine – they happen at random. If you’re lucky, you’ll be at the right machine at the right time. In the meantime, your primary goal must be to conserve your bankroll by “playing for playing money”. The aim is to recycle the same bankroll over and over, instead of investing new money every time you go to chase that elusive jackpot. Players choose to play the slot machines more than any other game in the casino. About 65 percent of casino profits come from the slots. Of the millions of slots players, very few understand how win at slots. They don’t know how to select machines that are more likely to pay off. Make yourself familiar with every aspect of playing today’s electronic slot machines including bonus versions and you will be a better informed, and hence a much smarter player. To play slots intelligently, you need to do more than bet your money and activate “spin”. While there are no strategies to memorize as in video poker, smart gamblers know that playing slot machines requires certain skills. Gullible tourists and uninformed online players are the casinos most profitable customers. Don’t be one of them! Even if you are an experienced slots player, you are probably mystified by how a slot machine is programmed to work. Well, you are not alone. If you haven’t any idea about what’s going on inside a machine, you will learn what slots give you a shot at winning and which ones are likely to steal all your money. 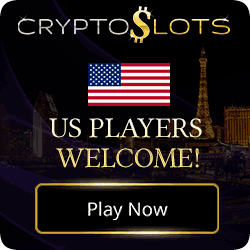 Join the elite group of gamblers who apply principles that increase the likelihood of hitting a sizable jackpot without jeopardizing their financial health. These pages show you how to win at slots. First of all, get rid of the “I’m-going-to-lose syndrome” most slot players seem to have. Realizing that the big win probably won’t happen; they play haphazardly and accept losing all their money as an inevitable part of gambling. You can do much better than that. “Quit while you’re ahead.” How often have you heard that phrase? Now stop, think, and then answer these questions: Quit, for how long? Ahead, by how much? Analyze this carefully, and then find answers that suit your psyche and circumstances. Here’s what I do. My philosophy for how to win at slots is to “play for playing or gambling money” until I hit a jackpot of at least a few thousand dollars. Smaller wins give me staying power, so I can keep coming back without risking additional new money. And when I do catch that big win, I’ll invest in something tangible. What I won’t do is give all the money back to the casino.